JCS BLOG Insights into JCS, our people, technology, and the industries served. We are excited to welcome aboard Harry Williams joining the JCS family as an Account Manager. 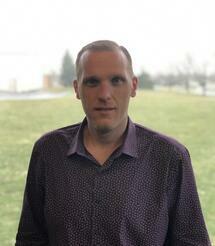 Harry will intently focus on fostering existing customer relationships, as well as building new partnerships with customers while working from his home office in East Central Indiana. Harry brings with him 13 years of Food & Beverage manufacturing experience, most recently in the capacity of Operations Manager with SmithFoods where he spent the past 10 years helping grow the business through continuous improvement activities. Over the course of the past four years, Harry’s team was able to increase the overall weekly output by 60% (11% in the last year alone). Furthermore, Harry and his team developed a root cause analysis approach to divert reduction which ultimately reduced total processor unplanned diverts by over half. Thus, freeing up time for preventive maintenance and opening capacity for new business. Harry brings with him extensive knowledge in both UHT/fluid processing and operational leadership activities within manufacturing which will undoubtedly allow him to better serve JCS customers. Harry is married with three children ranging from 15 to 9 years of age and when not chasing them around for travel sports he enjoys traveling with his wife Shana, hunting, fishing, and basically anything outdoors. Harry has a passion for people and leadership which would explain why he chose his business degree from Ball State University concentrating on Organizational Leadership which he feels applies to nearly every aspect of life both professionally and personally. Yamille is the Marketing Manager at JCS, responsible for the development and implementation of marketing projects that stimulate awareness, convert leads, and directly contributes to JCS’s growth. She is an alumna from the Rochester Institute of Technology’s MBA program, and holds a bachelor’s degree in Marketing from PUCMM. She has work experience in international markets, specifically working in marketing departments in the retail and the food industry.